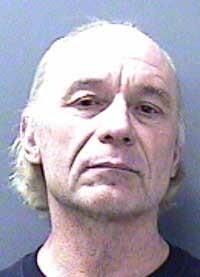 A 56-year-old Sun Valley man remained incarcerated on $50,000 bond Tuesday in the Blaine County jail after being arrested in March on a felony charge of unlawful possession of a firearm by a convicted felon. Craig Eric Everhart has remained in jail since his arrest by Ketchum police on March 17. He is also charged with the misdemeanor crime of using a telephone to "annoy, terrify, threaten, intimidate, harass or offend." The Roark Law Firm in Hailey has been appointed public defender. According to Blaine County court records, Everhart was convicted of felony grand theft in California in 1995. Records further state that he was also convicted in California in 2005 on an earlier felony count of unlawful possession of a firearm and another felony count of possession of a controlled substance. A probable-cause affidavit filed by Ketchum Deputy Bradley Mecham states that Everhart was arrested on March 17 for allegedly possessing a loaded Mossberg 12-gauge pump shotgun. Mecham wrote that Everhart had the gun in his vehicle when he was questioned by police on south Main Street in Ketchum. Mecham wrote that police were looking for Everhart because of a complaint by a 51-year-old woman about Everhart's continually calling her and making threatening statements.